The data was released on BARC website for the first time in two months after the implementation of new tariff order as mandated by the Telecom Regulatory Authority of India (Trai). 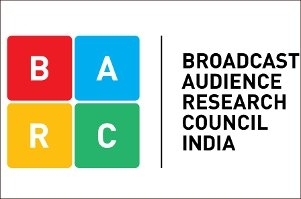 Dangal, a free-to-air Hindi general entertainment channel (GEC), has dethroned Sun TV to emerge the most-viewed in week 15 (March 23 to March 29) of 2019, shows data provided by the Broadcast Audience Research Council of India (BARC). The data was released on BARC website for the first time in two months after the implementation of new tariff order as mandated by the Telecom Regulatory Authority of India (Trai). Viewership is measured in impressions and refers to the number of people watching a platform or show at any given point in time. The latest data reveals that Dangal, owned and operated by Enter10 Television, has raced to the top with a weekly viewership of 1.1 billion impressions. On the other hand, Sun TV was the top-rated channel across genres in January 2019 (week 1 to week 5) with 1 billion impressions. The trend remained consistent in the weeks preceding January as well. It has, however, slipped to number 3 with 850 million impressions. While data is expected to further stabilise as the industry settles into the new tariff regime, flagship GECs of all four leading broadcasters have seen some changes in viewership. While Colors, Sony Entertainment Television, and Zee TV witnessed a drop of between 13 and 16 per cent, Star Plus saw a marginal increase (1.2 per cent) in viewership. A large part of the reason behind Dangal's ascension to number one is its availability on DD Free Dish, the distribution platform launched by Prasar Bharti. However, an equally big contributor has been the withdrawal of multiple private free-to-air (FTA) channels from the platform in recent months. Multiple popular private FTA channels such as Zee Anmol, Rishtey, Rishtey Cineplex, Star Utsav, Sony Wah, and Star Utsav Movies withdrew from Free Dish on March 1. "This is an early trend and should be read with that perspective. Dangal was always available on Free Dish, however, with the exit of the key FTA (free to air) GEC and movie channels, which drew viewers to the platform, the other available channels have benefited as consumers spend more time on these channels. 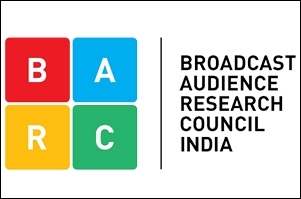 Having said that, early data trends point at the declining attractiveness of Free Dish as a platform because of content choices available now," says a BARC India spokesperson. The rise of Dangal is an indirect result of the implementation of the Trai tariff order. The agency estimates that 34 per cent of households in HSM (Hindi-speaking market) rural and 10 per cent households in HSM Urban have Free Dish connections. In genres that have not seen a major churn of channels from the Free Dish platform, there haven't been any major upsets in the pecking order. For example, the top five channels in the music genre are more or less the same as is the case with Hindi general news channels. Other genres have not seen much change. However, a significant impact of the order can be seen in the fact that Star Sports Hindi 1 is the second-most viewed channel across genres with 1 billion impressions. This can be traced to the Vivo Indian Premier League (IPL) that kicked off its 12th season on March 23. In case of English news, DD India, which repositioned itself as an English news channel recently, leads the pack by more than 100, 000 impressions. DD India is followed by Republic TV. As the industry settles into the new tariff regime, experts believe that the future of Free Dish may be in danger since popular FTA channels have withdrawn from the platform. "With popular FTA GEC and movie channels going off Free Dish, the popularity of the platform is beginning to wane. The mix of channels has seen a significant change. Due to this, new entrants and continuing channels have gained in viewership," says an industry executive. The number of channels available on Free Dish has come down to 60 from 70. The maximum withdrawals have been in the GEC and movie channel genres, which contribute to maximum viewership. Six new news channels have been added to the platform. 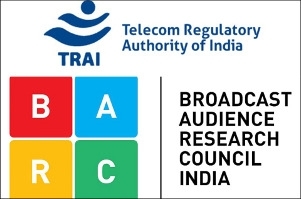 BARC responds to TRAI's notice: "Misleading data on the website would be against public interest"
BARC India responds, "Our subscribers have been getting all-India weekly data"